Join us at Resistencia Bookstore for part one of a class on indigenous healing and medicine making class in preparation for the winter in English with Spanish translation. The class will be 11:00 AM-4:00 PM with an hour break for lunch. We will talk about how to get ready for the cold season and I will have teas and soup for you to sample. After lunch, you will make a cough syrup to take home. Payment must be made the day of the class, no prepayments. Acompáñenos en la Liberia Resistencia para la primera parte en una clase sobre sabiduría indígena y hacienda medicina en preparación para el invierno en ingles con traducción en español. La clase es 11:00-16:00, con una hora de descanso para la comida. Se hablará sobre como uno se prepara para la temperada del frio and habrá tés y sopas para probar. Después del descanso, harán un jarabe de tos para llevar con ustedes. El pago se hace el día de la clase en efectivo, por cheque o tarjeta de crédito. No pagos antes de la clase. Marika Alvarado is the founder of Of the Earth Healing and is a direct descendant of generations of Medicine Women: traditional native healers of spirit and body, midwives, and plant medicine practitioners. 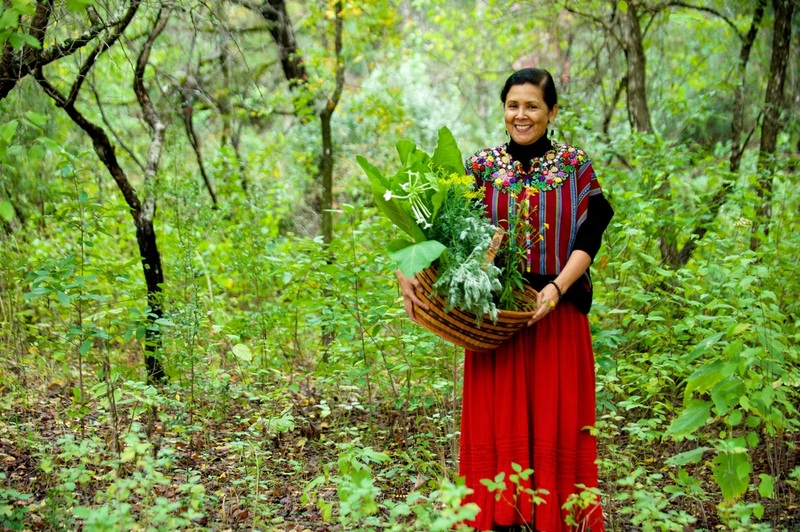 Her family was raised to be in harmony with the Earth, the seasons, and the plants. The plants provided their means of living and healing. The healers in my family tended the sick, the injured, and the women when they were with child and when they gave birth.